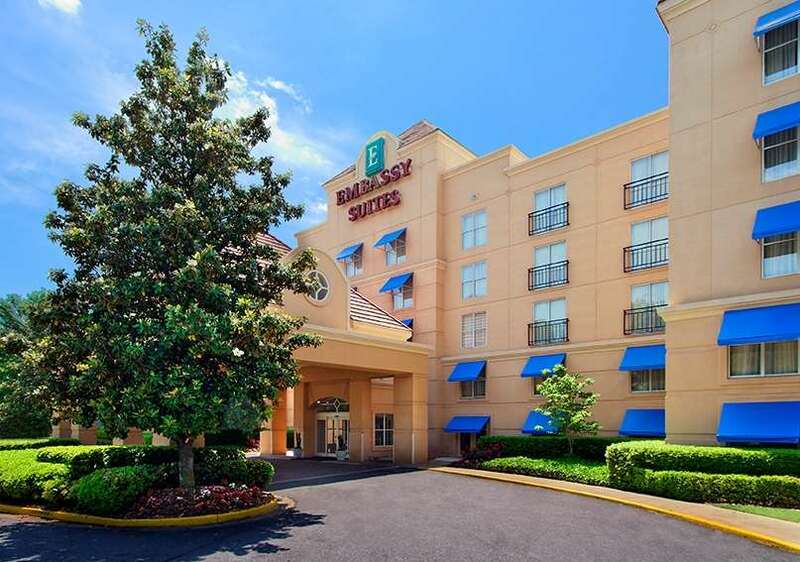 This Property is 100 Pct Non-Smoking The Embassy Suites Atlanta Airport hotel is located .5 mile from Hartsfield - Jackson Atlanta International Airport - Airport MARTA Station and one mile from the Georgia International Convention Center - GICC in College Park GA. This full-service upscale all-suite hotel is just a short drive from HiFi Buys Amphitheatre Downtown Atlanta Turner Field - home of the Atlanta Braves Zoo Atlanta Six Flags Over Georgia Theme Park Stone Mountain the Atlanta Apparel Mart the Georgia Dome - home of the Atlanta Falcons Phillips Arena - home of the Atlanta Hawks - Atlanta Thrashers the Georgia State Capitol and the Martin Luther King National Historic Site. Guests of the Embassy Suites Atlanta Airport hotel stay in spacious two-room suites and receive a complimentary cooked-to-order breakfast and a nightly manager*s reception. Ask our front desk to upgrade your suite to a newly renovated suite and receive added amenites. High-speed wireless internet access is available throughout the hotel /charge varies/. The hotel offers a courtesy shuttle to and from the Hartsfield - Jackson Atlanta International Airport and the airport MARTA station. Room Service: Enjoy dinner or a snack in the comfort of your spacious suite. Spondivits: Seafood steaks and american fare.